The former Woods bassist is back with "City Music," his fourth album in five years. 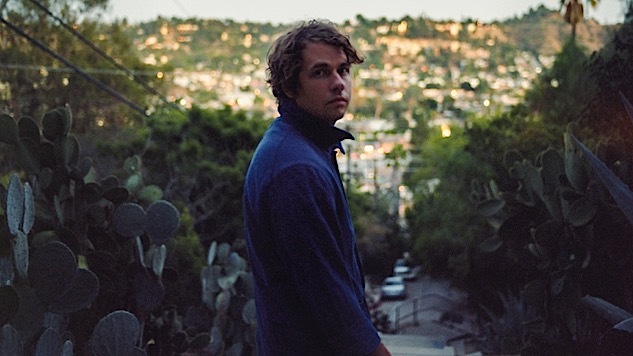 Kevin Morby is in a self-imposed masterclass for keeping the wheels in constant motion. His initial claims to fame—former bassist of Woods and frontman for The Babies—are beginning to appear as footnotes in his rapidly expanding solo portfolio. On Friday he’ll release his fourth album in five years, City Music, which cycles through tides of weariness and jubilance. The characters in the songs, all of whom share Morby’s habit of wandering from one station to the next, wax existential with affable grins, like a childhood friend determined to probe your shared history until the pub closes. When reached by phone this week, Morby was between two trapeze bars of his extensive tour, and was taking some time to swim and relax in upstate New York before months of Euro country-hopping. That kind of routine, he said, requires a certain resolve to muscle through the rigor and overstimulation and “get in that headspace to reach out and grab” the inspiration that is collected at each stop and feed it back. Watch the video for Kevin Morby’s “Aboard My Train,” from City Music. Last year, Morby purchased a home in his hometown of Kansas City, a decade after lighting off for Brooklyn to experience the excitement he’d seen in films. While the house was initially an investment property he could rent out to friends, he found himself increasingly reliant on the seclusion and anonymity it provided. He ultimately reframed his hometown as a symbol of refuge rather than one of restlessness. Despite City Music’s manifold attitudes—enamored, bitter, yearning—toward the formless concept of ‘downtown’, Morby keeps a loving distance from his own cities. He avoids courting the ‘hometown hero’ title when in K.C., and has learned to keep a low profile when at his semi-permanent residence in Los Angeles. His homes are central to his work not because they are integral to him, but because their trappings cast a long shadow. The refrain in Morby’s life—for now, he repeatedly—is grappling to find just enough shelter from feelings of hyper-exposure to write the next record (in this case, a double-LP that “stands on its own”). Read Paste’s review of City Music here.